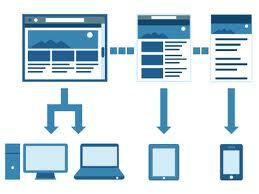 What is Responsive Web Design And Why Web Developers Must Learn This? If you are the regular reader of this blog, you may notice the theme change. Yes, I have switched the theme of this blog and there is an important reason for this. When you see the blog in mobile device, tablet or smartphone, it will adjust itself according to browser size. You can also see the difference when you will reduce the browser size. Actually the new theme is a responsive theme. Although, I am too late for this, but still its file. I was too busy to create and then update theme due to work overload. If you do not know what is responsive design, you must read this post and learn about this. Responsive design is the future of web and you must know this if you want to survive as a web developer. Responsive web design is a new kind of web designing approach that aimed to provide optimal viewing experience across wide range of desktop and mobile devices. This web design have ability to adapt the layout of viewing environment. As the user switches from laptop to tablet, website adopt the layout according to tablet browser. Responsive web design is done with CSS3 media queries that uses @media rule. this @media rule is used to adopt the current viewing browse layout and then produce the web page according to it. To maintain the responsive behaviour, it never uses fix length for grid and div. It uses relative width in percentage. So page modules adjust its position according to the web browser and screen size. If you take a look on popular websites? you will find that all websites are using responsive webdesign now. If you are a website owner or blogger, you can consider switching on responsive design. I will keep posting step wise guide on responsive web design. If you want to receive tutorials in your email inbox, subscribe webtips.